Belter Rosalie Sofa -- Absolutely beautiful sofa in a variation of Belter's Rosalie pattern. 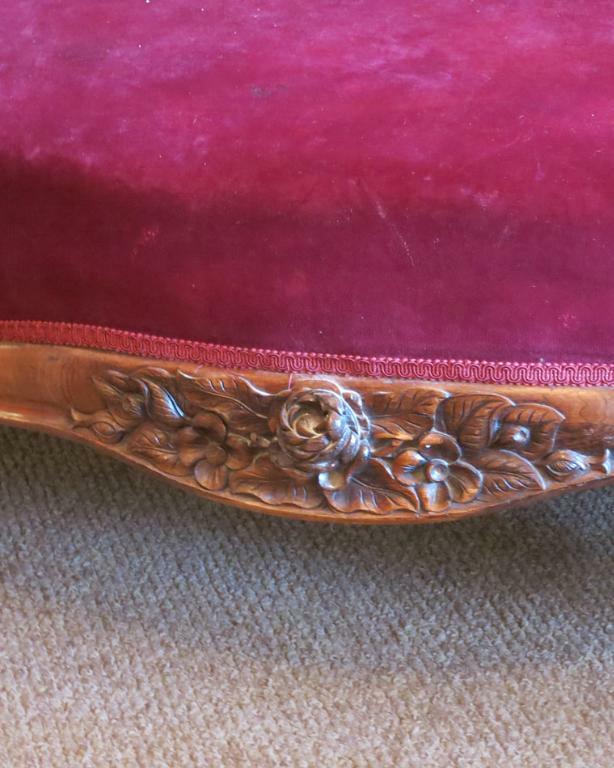 It was made between 1850 and 1860 and is typical of Henry Belter's wonderful laminated furniture for which he is so famous. It measures 42" tall x 74" long x 34" deep. 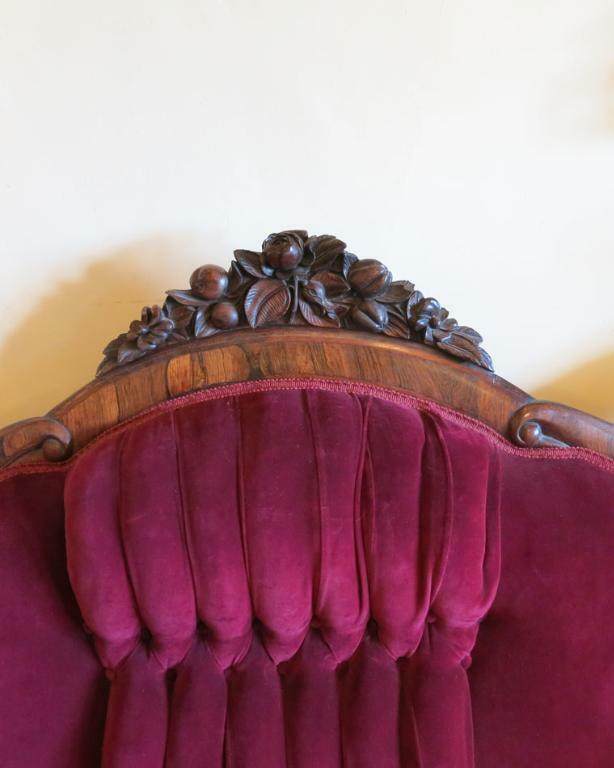 The coloring and graining of the rosewood is just wonderful, and this would make a fantastic addition to any parlor or living room. 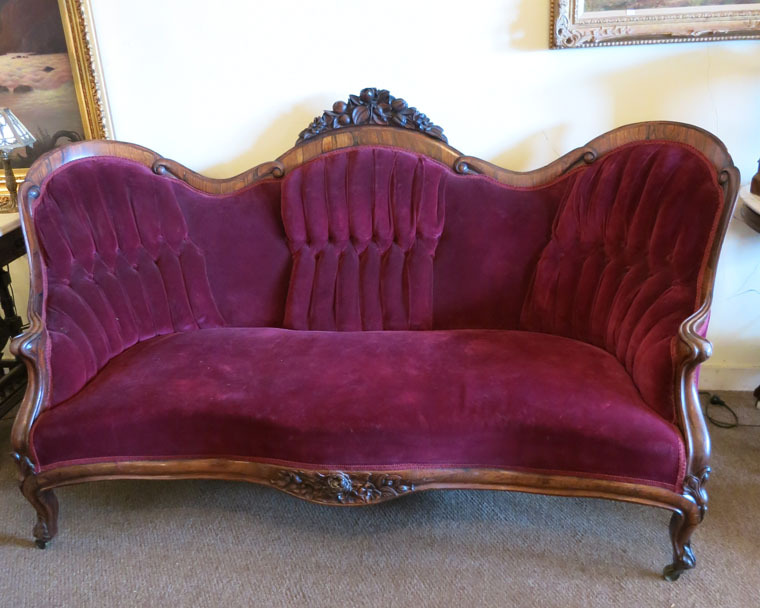 Absolutely beautiful sofa in a variation of Belter's Rosalie pattern. It was made between 1850 and 1860 and is typical of Henry Belter's wonderful laminated furniture for which he is so famous. It measures 42" tall x 74" long x 34" deep. 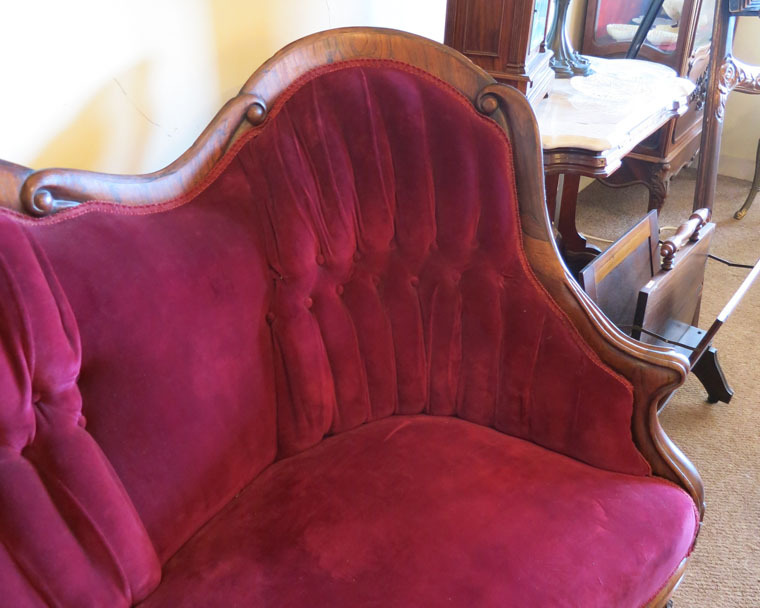 The coloring and graining of the rosewood is just wonderful, and this would make a fantastic addition to any parlor or living room.